The Open World Program, operated by the Open World Leadership Center at the U.S. Library of Congress, is a special program available to Rotary clubs in the United States. Designed to give young emerging Russian leaders a firsthand look at the U.S. political system, business, and community life the program also aims to promote understanding and forge bonds of friendship between the two nations. Rotary International is proudly continuing its relationship with the Open World Leadership Center at the Library of Congress and serves as a local hosting organization with Rotary clubs serving as hosts for Russian delegations. This is a fifth year of Rotary's participation in the Open World Program. Rotary clubs have hosted nearly a quarter of all Open World participants throughout these years. 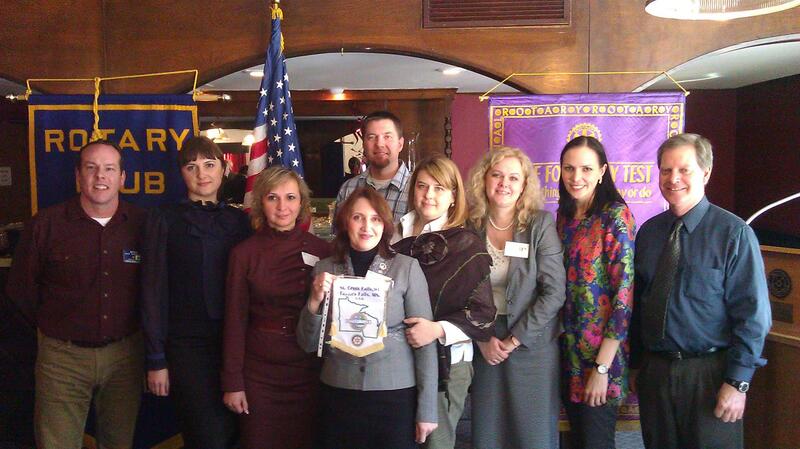 Each participating Rotary club hosts five Russian participants (four delegates and one facilitator) and develops a program of study that allows the participants to learn more about specific aspects of American life. Each program is based on one of eight civic themes. RI receives a grant from the Center and is able to reimburse Rotary clubs for many of their hosting expenses. During intensive short-term visits, participants learn about the responsibilities of and the interrelationships between the three branches of the U.S. government at the federal, state, and local levels. The program also demonstrates how the private and nonprofit sectors help to meet social and civic needs. To achieve these objectives, participants engage in hands-on experiences, direct observation, and substantive dialogue with their U.S. professional counterparts.